Patrick L. Lombardi shreds faster than most and his ability to do it with style is a testament to his skills on a board. Watch this fast local run riddled with chunder pavement and cars. Brian Scott Adkins just sent over this fresh edit from his road trip through Switzerland with fellow team rider Ben Pellet Berger and Lillian Barou. 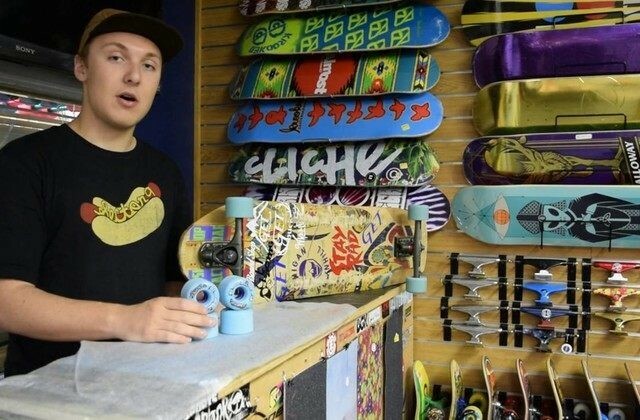 Nick Thayer of Sk8 Stevens tells you all about the Cloud Ride Iceez; as the name suggests, they are slippery as can be! Team rider David Bubier went out for a rip on the Storm Chasers and the DB Longboards Keystone Ridge. The Storm Chasers Are Real! The Storm Chasers are real! The ultimate longboard race wheel from Cloud Ride, these wheels are fast, grippy and resilient. Our Clear, Red and Green Cruiser Wheels were designed to be ideal for carving and cruising, but are also one heck of a freeride wheel! 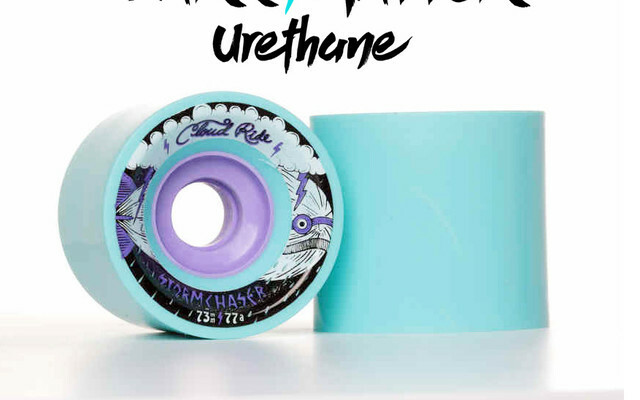 The high rebound urethane is well-suited any type of riding. 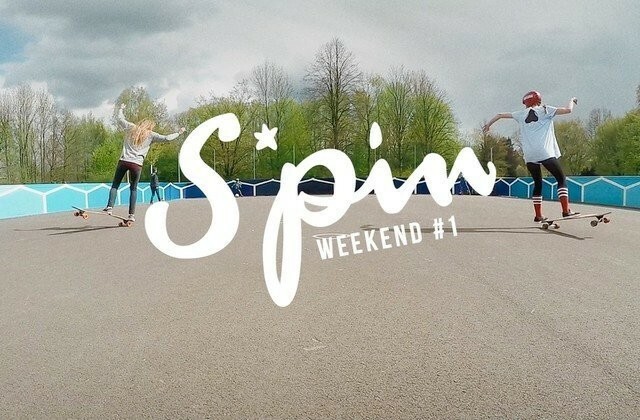 Checkout the brand new video from S*pin-Skate! The Storm Chasers are here! The ultimate race wheel from Cloud Ride, these wheels are fast, grippy and resilient. 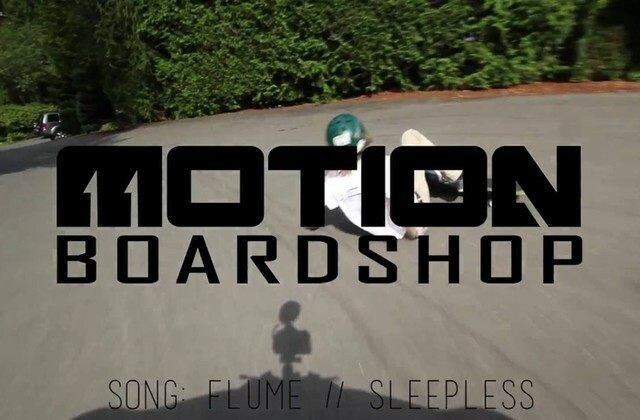 Cloud Ride Wheels team rider Mirko Paoloni put our Slusheez to work in this new video. The crew over at Action Board Shop just finished up a review on our new Slusheez! These wheels are stone ground, consistent yet slidey and have a great roll speed. New video of flow team rider Ben Pellet riding through the French Alps on our soon to be released Storm Chasers. Cloud Ride Wheels team rider Devon Dotson has been getting steezy on the new Iceeez! 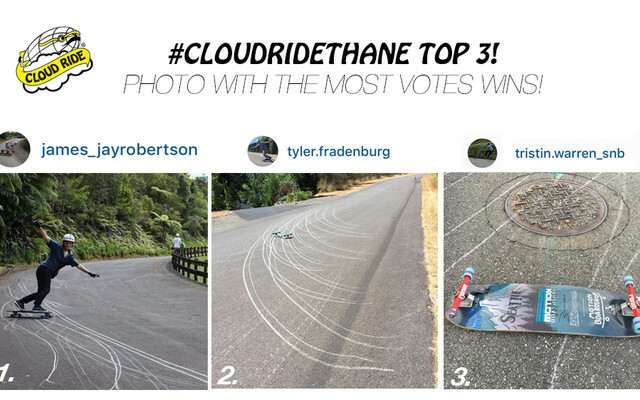 Cloud Ride Thane Contest Open For Voting! 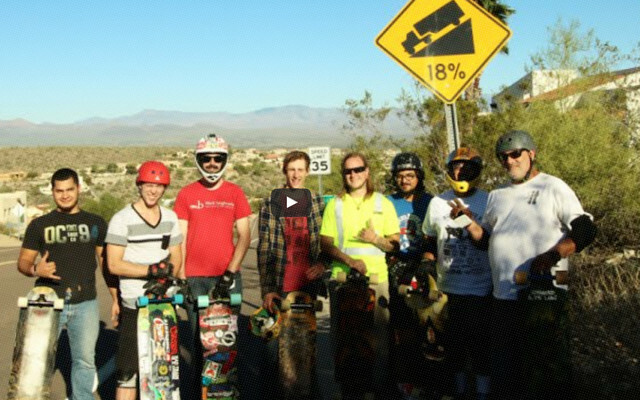 Phoenix Arizona Downhill Longboard Clinics! Cloud Ride Wheels. Black Longboards and Advanced Slide Labs team rider Tom "Sr.
Patrick Lombardi on the Storm Chasers! Cloud Ride Wheels team rider Devon Dotson put the new Slusheez to work! 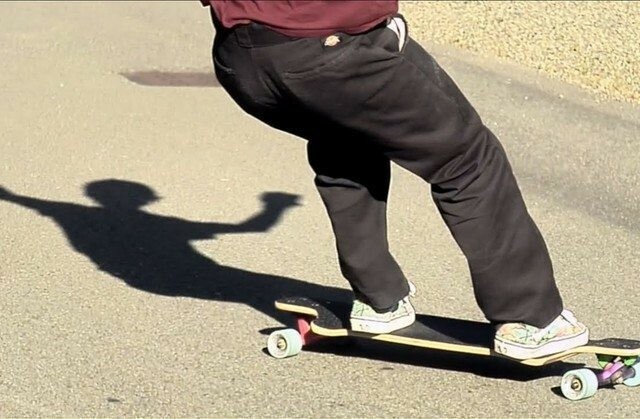 The Slusheez are a skateboard wheel that every longboarder needs to try and own! Take a run with team rider David Bubier down one of the steepest roads in North Carolina on our Ozones 70mm 83a. Time to slide! The Iceeez and Slusheez are here! Our new ICEEEZ and SLUSHEEZ longboard wheels are available on our website and at MuirSkate and Daddies Longboard Shop! 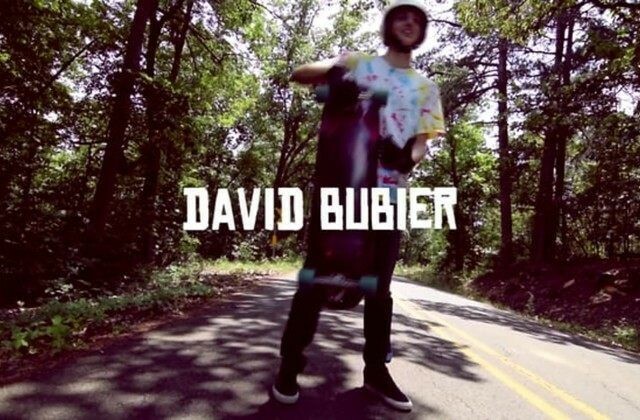 David Bubier has been skating all winter and into spring. He just sent over a new RAW RUN on our soon to be released Storm Chasers. New Wheels! The Slusheez and Iceeez! Two of our b rand new wheels the ICEEEZ and SLUSHEEZ are set to be available in shops real soon and on our website at the beginning of April! 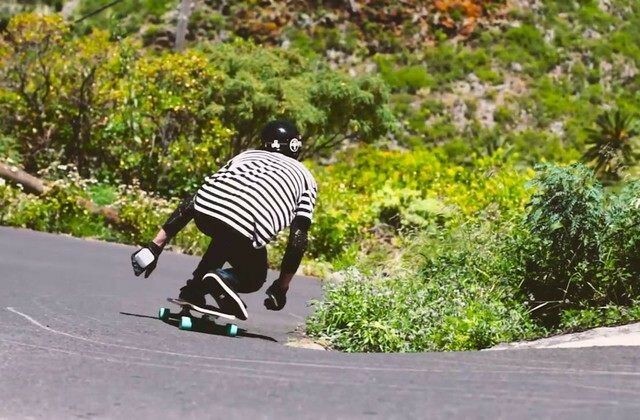 We recently added French longboarder Ben Pellet to our flow team and within a few days he sent us some banger photos captured by Damian McArthur. Team rider Anton Linden traveled a ton last summer to longboard around Europe and we recently caught up with him to see how the summer went. Checkout his words, videos and photos below. Aidan Gilbert is one of our favorite dudes who is always longboarding up in British Columbia, Canada and we are stoked to have him on the team. 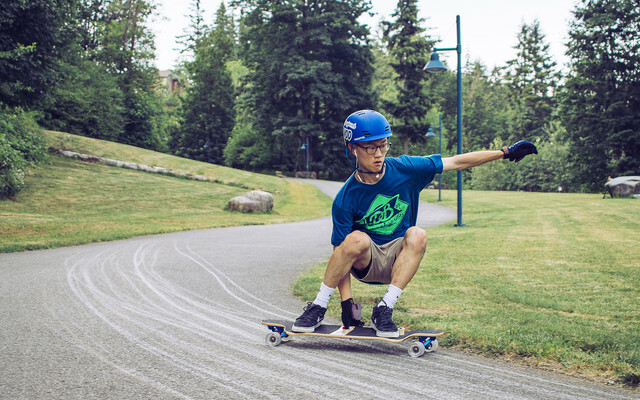 Bill Kim is a great asset to Cloud Ride Wheels in terms of his longboarding skills, knowledge and he is super talented behind the camera lens as well. Checkout the brand new edit featuring team rider Brian Scott Adkins smashing through Switzerland for a fall longboarding session. 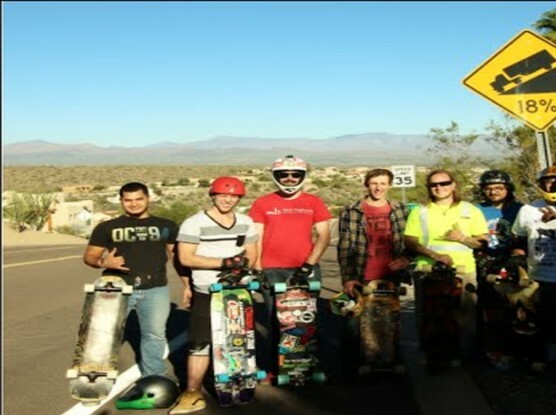 The second monthly Downhill Longboard Learning Clinic organized by Tom "Sr. Pushbroom" McCarthy of Black Longboards / Advanced Slide Labs / Cloud Ride Wheels went down in Phoenix, Arizona. How Does Longboarder Rosanne Steeneken Roll? Rosanne Steeneken is pushing the longboard game in the Netherlands and we just got a chance to ask her e a few questions about the 2015 longboarding season. Cloudride Wheels. All Rights Reserved.